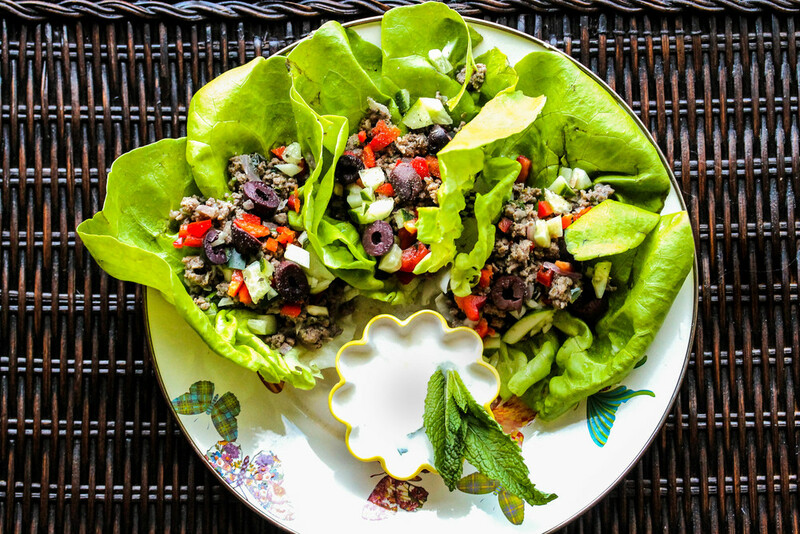 These lettuce wraps are perfect for hot summer days as appetizers entertaining family and friends. What I also love about these is that the meat mixture can be easily turned into lamb sliders with just a few simple changes. Two completely versatile recipes from one recipe?! Sounds like a win to me! Chop cucumber, red pepper, and olives and set aside. Finely chop garlic, onions, mint, and basil and add to bowl. Combine lamb thoroughly into mixture. Add lemon juice, lemon zest, oregano, sea salt, black pepper, balsamic vinegar, and coconut aminos and mix well. Heat ghee in skillet and when melted add the mixture. Cook until done. Spoon out mixture into bib lettuce leaves and garnish with cucumber, red pepper, and olives. Mix together all yogurt sauce ingredients and serve on the side. Finally, sprinkle lettuce wraps with Garlic Lovers Seasoning and enjoy! 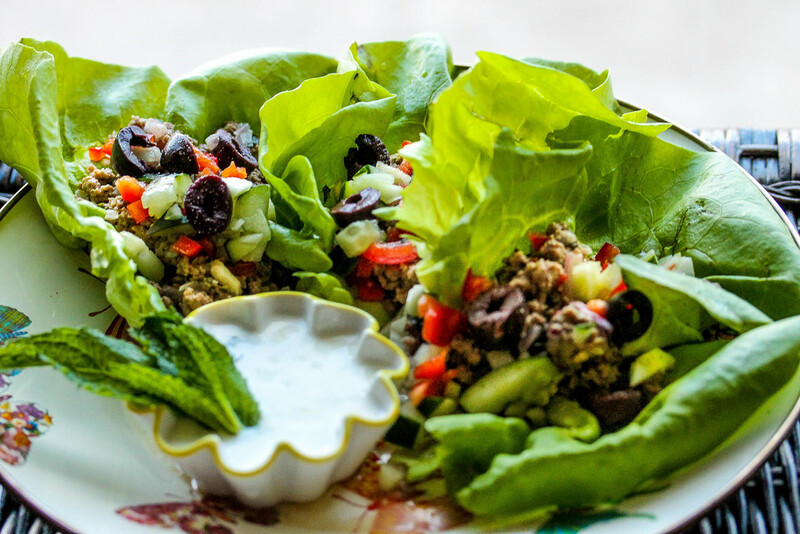 Simply click on the images below for a step-by-step process for making Lamb Lettuce Wraps with Yogurt Sauce.